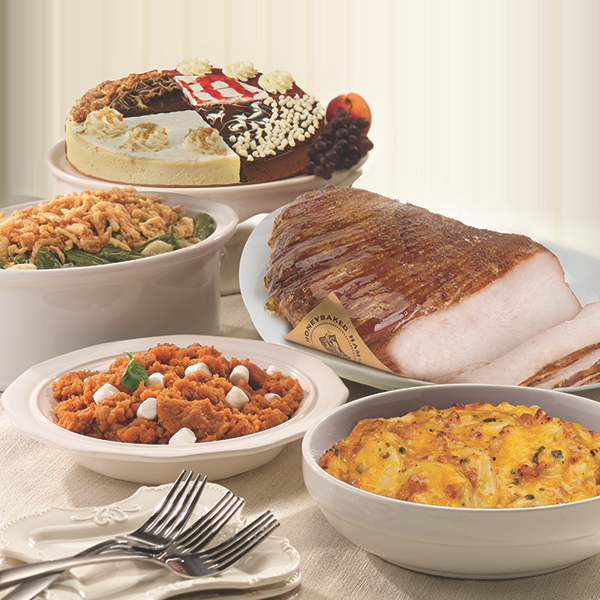 A turkey dinner with all of the sides and none of the fuss! You get a tender three-pound Oven-Roasted Turkey Breast with generous servings of 3 of our most popular side dishes—Yam Soufflé, Cheesy Scalloped Potatoes and Green Bean Casserole. Next, we finish it off with our magnificent 10 - inch, four-flavor Cheesecake Sampler with a luxurious array of Triple Chocolate, Turtle, Raspberry & Creamy Cheesecake.